The Clevamama Splash & Wrap Bath Towel is ideal for newborns to toddlers. This extra large bath towel is designed to fasten around your neck like an apron, allowing you to safely pick up your baby. Completely wrap your baby and cover your baby's head with the hood to keep in the all-important heat with this Clevamama Splash & Wrap Bath Towel. Also helps prevent mum or dad's clothes getting wet by their splashing toddler! 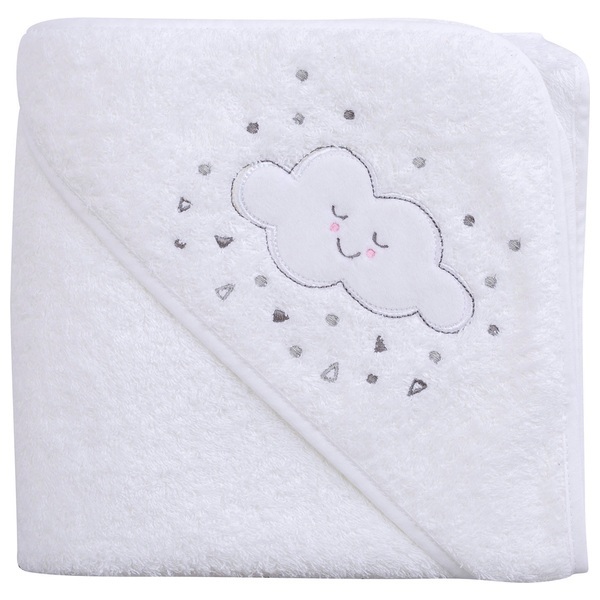 Made from 100% cotton, it is guaranteed to be gentle and absorbent on baby's delicate skin.